Large snow plowing machines at work at an Airport. Cold Snowy Day. 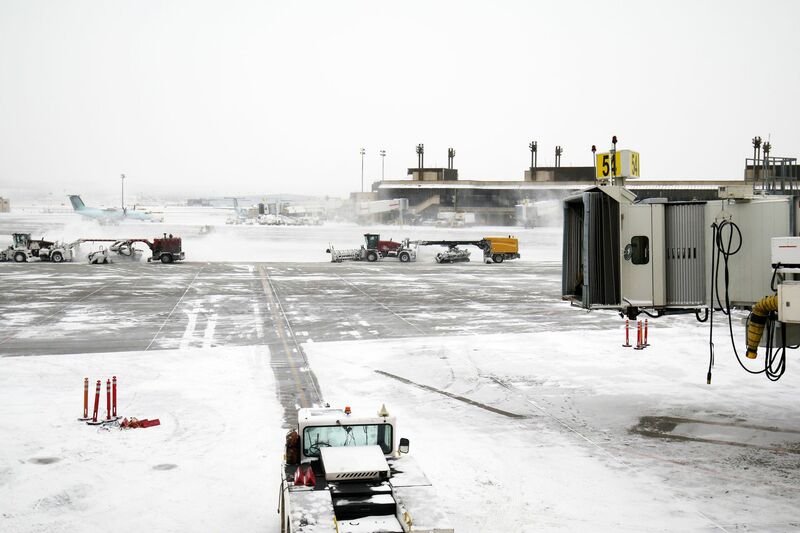 Image of airport struggling with epic snowstorm and weather as snowstroms cancel flights across the USA in Spring, 2019.